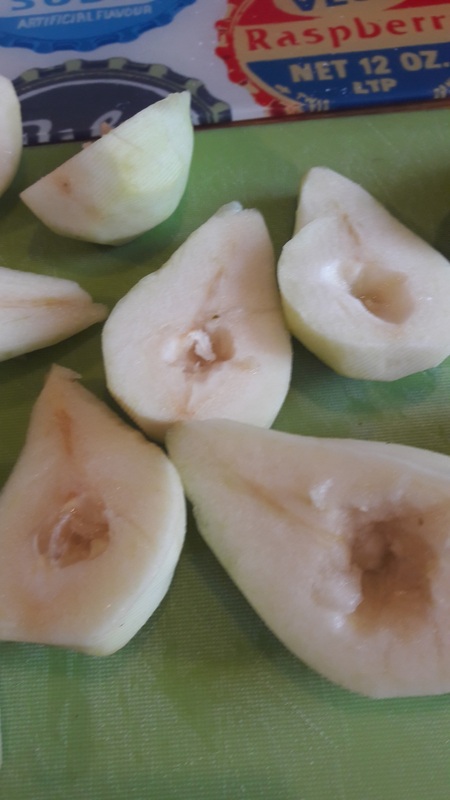 I have two pear trees in the garden and this year I have had the best crop of pears ever, both in number and size of pear. As I do not have a place to store the fruit that is cool and dry enough, I was looking for recipes to use the pears. 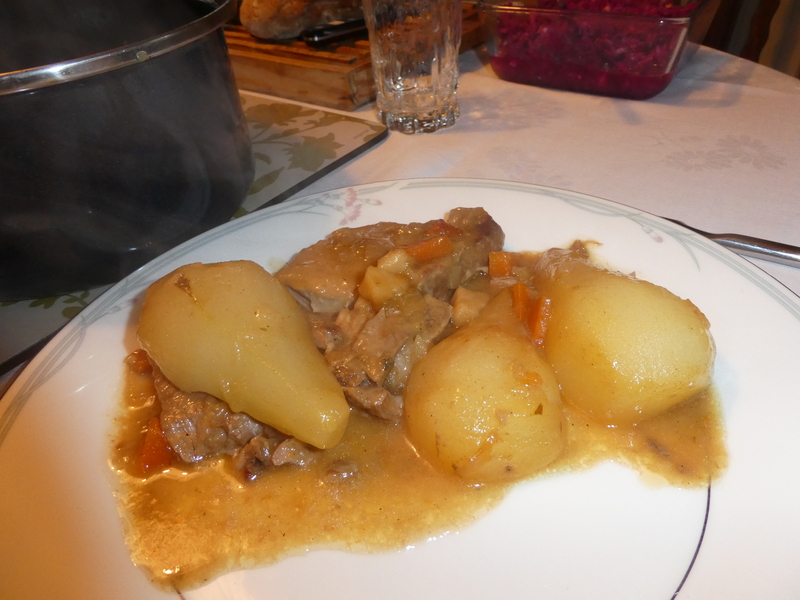 I tried this popular recipe from my great Polish standby recipe book but I found it too acidic. 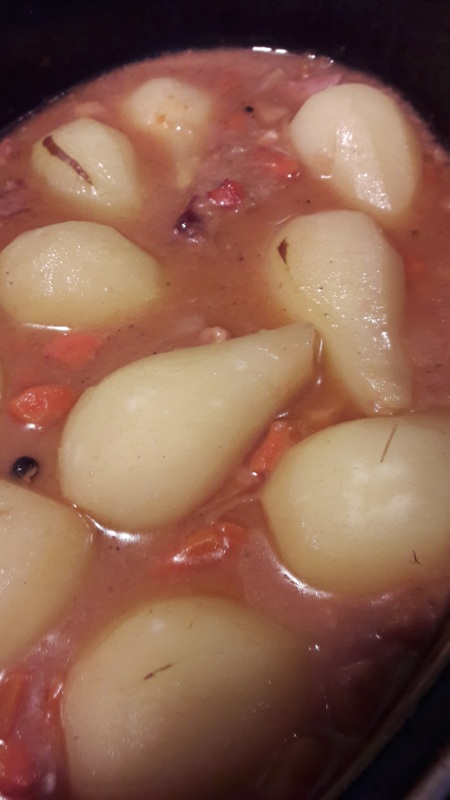 I adjusted the recipe and used less vinegar and more sugar and this I find to be much better. Clean and sterilise 2 large glass jars. Peel and core the pears and cut into large pieces. Put the water, sugar and spices into a large pan and gently bring to the boil making sure the sugar is all dissolved. 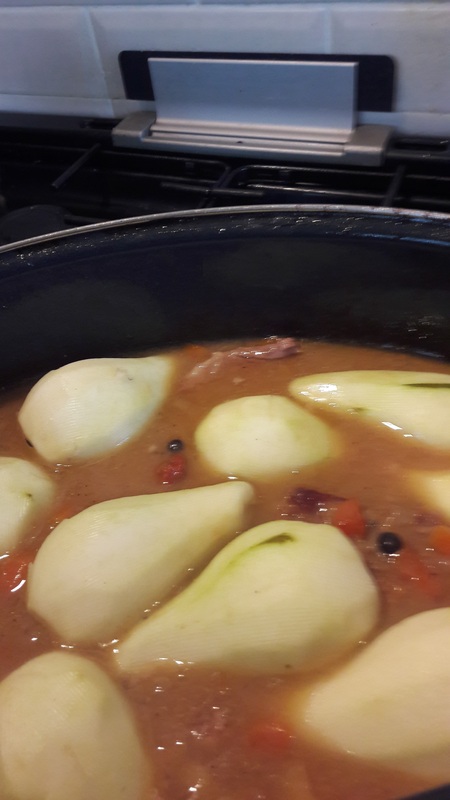 Add the pears and bring back to the boil, then gently simmer until the pears are soft and translucent. 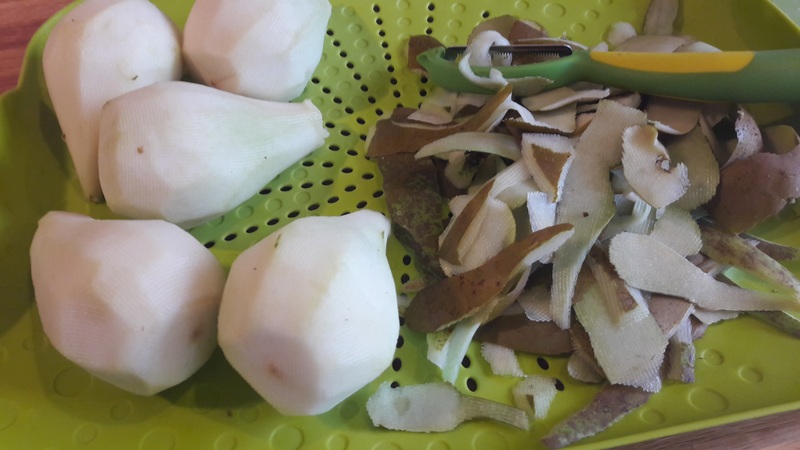 Using a slotted spoon remove the pears and divide them between the jars. To the liquid remaining in the pan add the vinegar and bring to the boil. Leave this on a gently boil for around 5 minutes and then leave to cool. 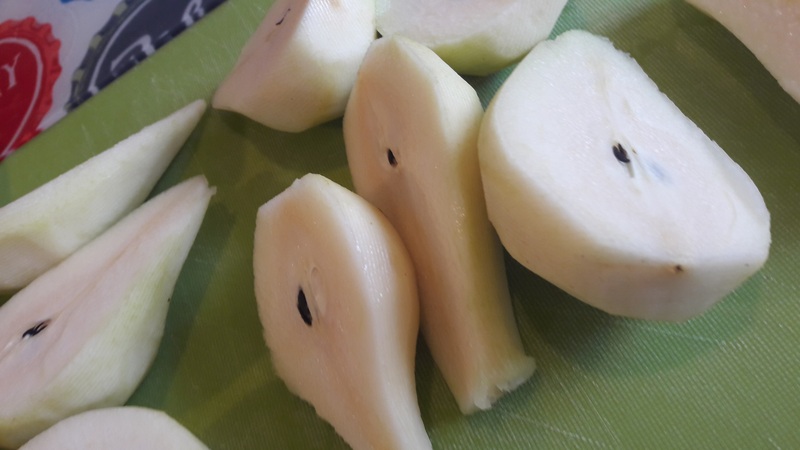 Use a funnel to pour the liquid over the pears. When the jars are cold put on the lids. Store in a cool dry place or in a fridge. Serve with hot roasts or cold meats, smoked sausages and cheeses. 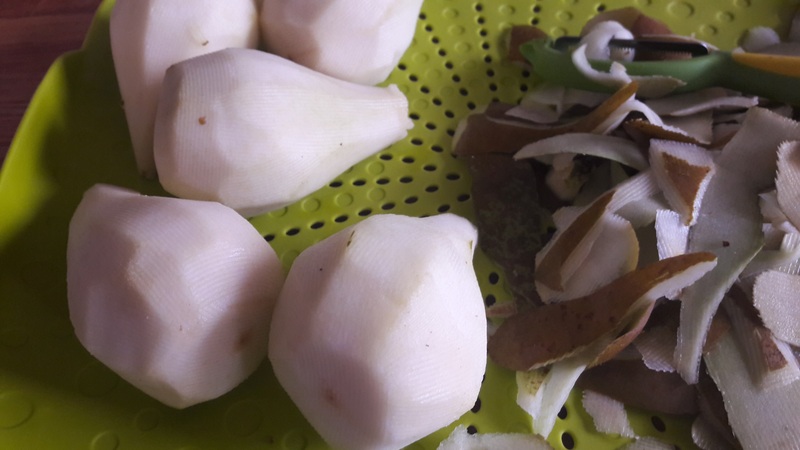 The pears can be chopped into small pieces and used in various salads. 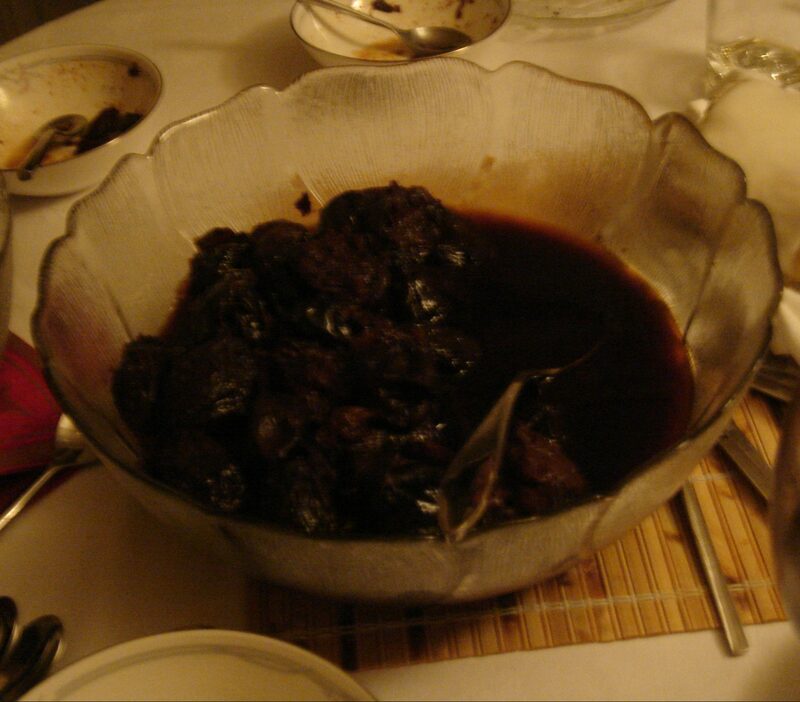 The spiced liquid can be used in salad dressings or in marinades for meat.